Yesterday, we posted about a guide in which Google explains how the search engine works. We’re going to follow a similar theme today, providing you with a guide to Google Analytics. 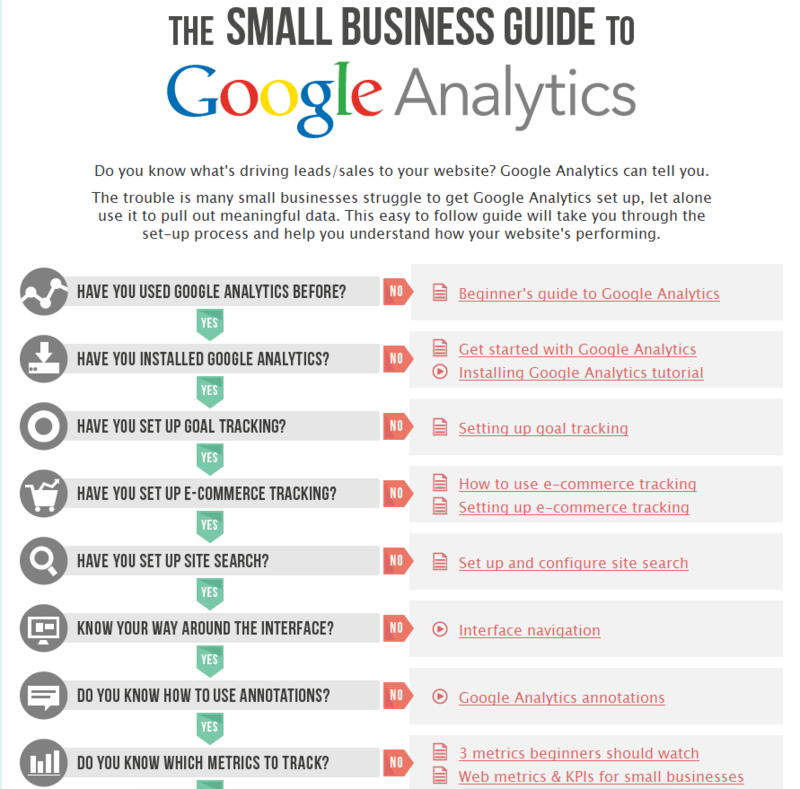 This guide is easy-to-follow and takes you through the process of setting up Google Analytics and then configuring it to provide meaningful data for your small business. We help our clients with Google Analytics all the time. It’s an amazing tool that can help you pinpoint areas in which you can improve your site’s performance. However, if you’re managing your company’s Analytics all on your own, sometimes the capabilities of the tool can be overwhelming. This guide breaks it down for small business owners who want to more effectively leverage the tool for their companies. Of course, if you still have questions after going through the guide, you can always contact us for help with your site’s Analytics. Give us a call at 480-451-3647 or leave us a comment below.